By plane: Bucharest has two airports: Henri Coanda ( Otopeni ) for regular airlines and Aurel Vlaicu ( Baneasa ) for low-cost airlines. Take a taxi ( only official taxis ! ) to the centre of the city or directly to your hotel. By train: You arrive at the main station ( North Station ); it is well serviced by the underground train ( metro ). Or, take a taxi ( official ! ) to your hotel. By car: the traffic in Bucharest is real bad. Be careful. International air companies: TAROM, AUSTRIAN Airlines, CSA Airlines, Malev, Turkish Airlines, Alitalia, Air France, KLM, Iberia, Delta Airlines, Brussels Airways, British Airways, Olympic Airways. There are also trains to Bucharest - North Station. The public surface transport is bad; therefore everybody is using the personal car which makes the traffic awful between 5 and 7 pm. You can rely on the metro or, take a long walk. The taxi is cheap; 10 euros will take you from the city center to the venue, only if you prefer to wait in the car instead of anything. The Lia Manoliu Stadium is the biggest stadium in Bucharest; the access is via Boulevard Basarabia and "Maior Coravu " street. 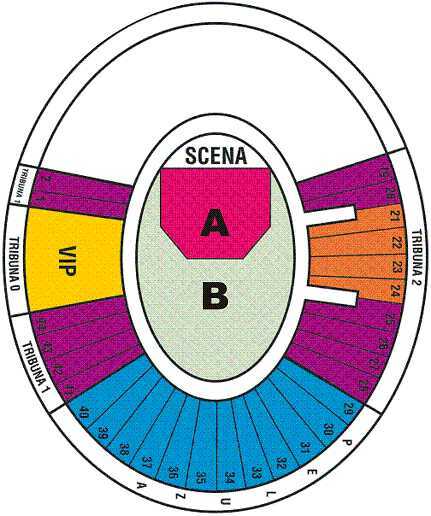 Take a look at the venue map; areas 34 and 35 are oriented to Boulevard Basarabia ( see map), while the stage is opposite. The hotels are ok, slightly better in each class than other European cities. Try to book via an agency; it is cheaper than at the desk. Bucharest is not a big tourist attraction; there is no special crowd in summer; by contrary, everybody is running out from the heat. Thanks to Gabriel Chirion and Dragos Pirnog!